To facilitate smaller data files and faster uploads and downloads, the sample data is generally stored as 7z files or LAZ (compressed LAS) files. 7z is a free utility and can be found at 7-zip.org. The LAZ files can be managed using LASzip. To easily read and display laz files try the free version of QtReader from www.appliedimagery.com. 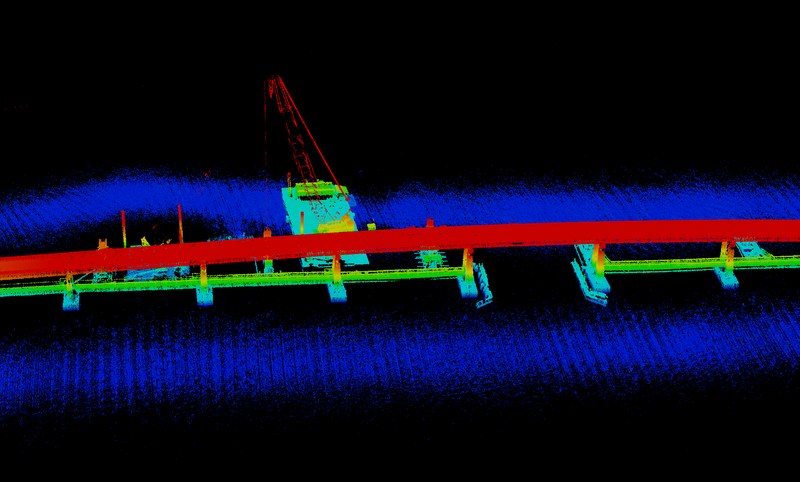 This data set was collected with a Revolution system flying at roughly 40 meters and traveling at 6m/s. 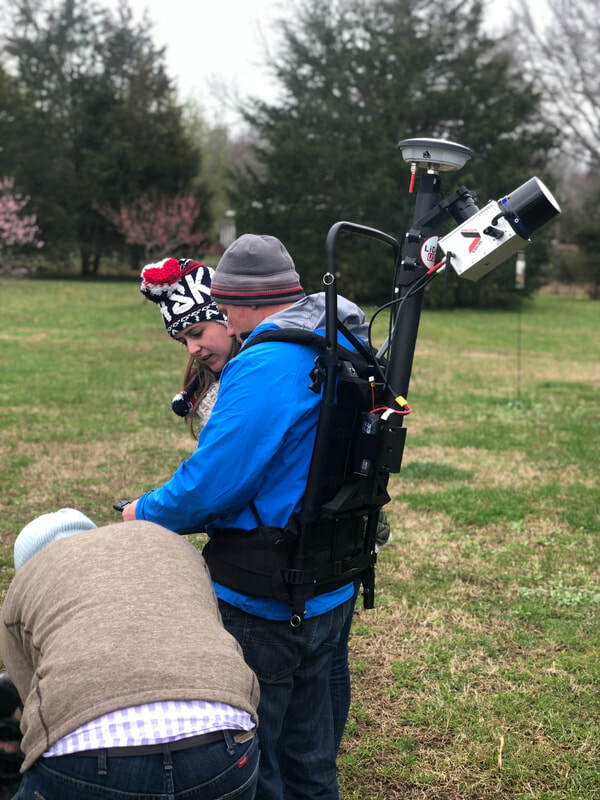 An L1/L2 external receiver was also included to correct the trajectory to survey grade GPS quality results. The data was not colorized and the data set was not cleaned to remove the noise. 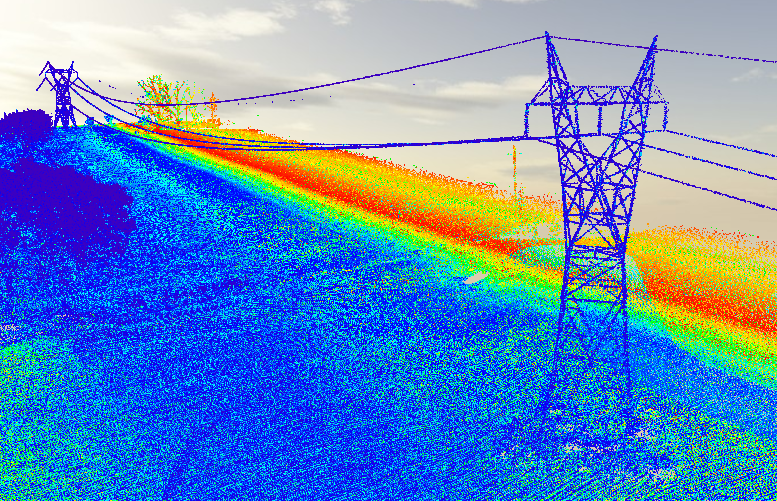 Rural transmission lines collected with an HD32 mounted to a DJI M600. It is two (laz) files. 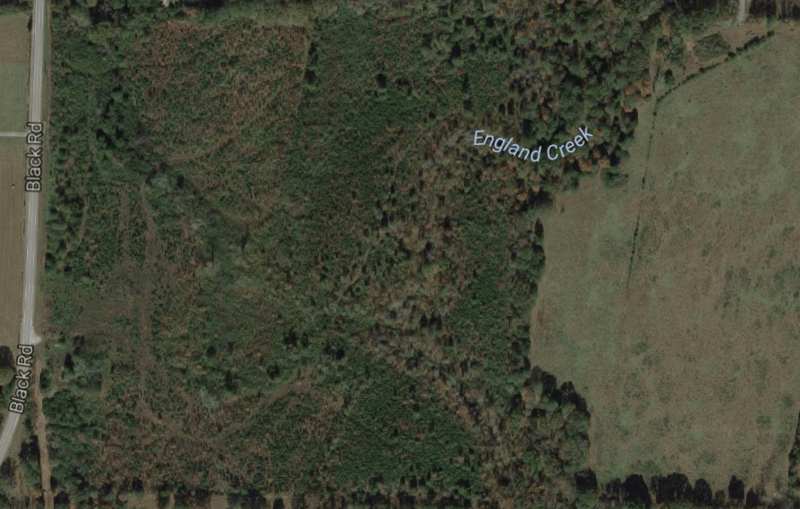 This 40 acres was clear cut 6 years ago so it's got a lot of low brush (6 to 20 ft tall). It's just about the worst case scenario for North America. This was scanned with an HD32. 1. 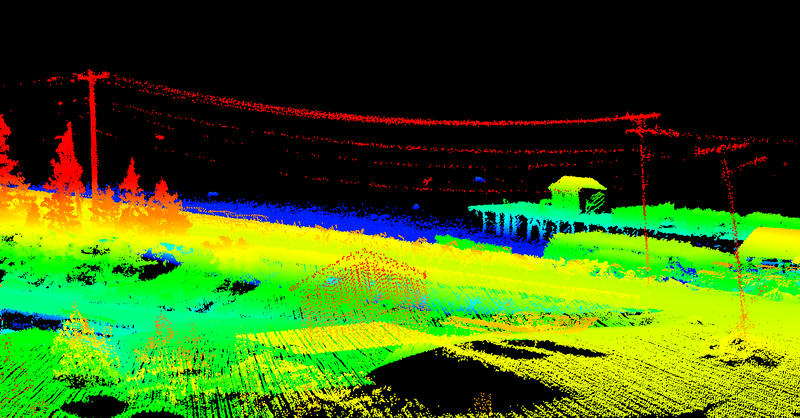 A raw point cloud, unclassified. 2. A simple bare earth classified grid of the same. This has also been field checked with survey gear with amazing results. 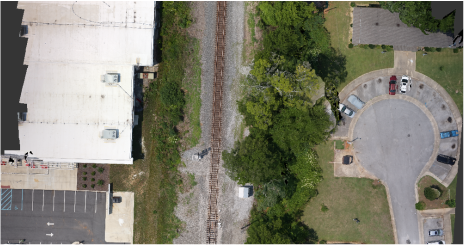 Captured with snoopy A-Series mounted on a Drone. The data is tiled so it isn't huge. Colorized with world imagery and classified. We are only using a small percentage of the available lasers for this view. 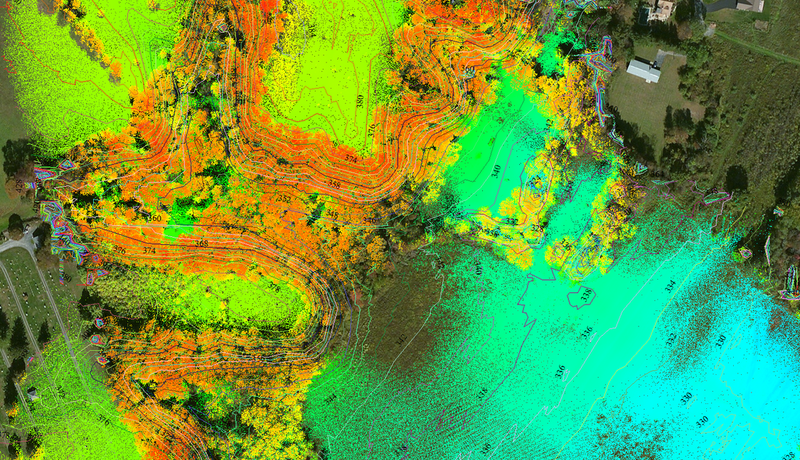 This Snoopy Series A data set was collected from a hi rail truck on a short rail track. 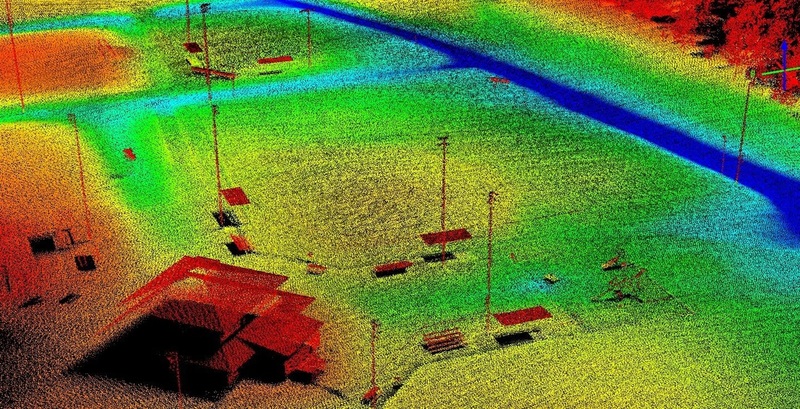 The resulting point cloud was colorized using imagery collected from an UAV. 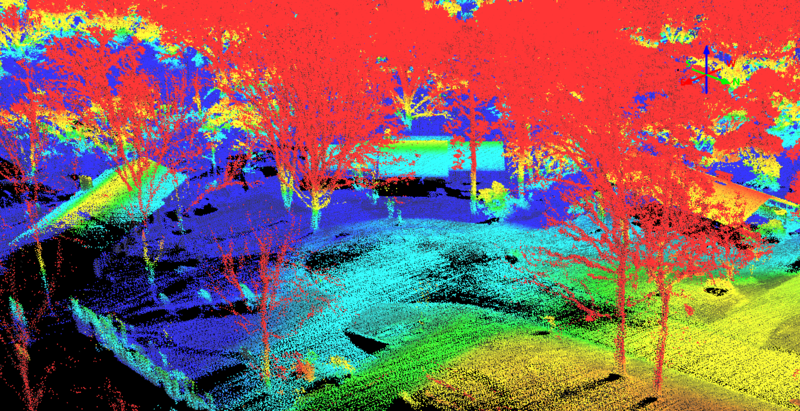 The data set is colorized with Ladybug5 images and captured with Scanlook Snoopy mounted on a SUV. This data set contains two laz files that have been colorized along with the corresponding Ladybug5 imagery. There is a ReadMe.txt file containing the coordinate system definition and an image index file linking the imagery to the geo-referencing information. This information is perfect for programs like VG4D. Click to access 1st Colorized LAZ data. Click to access 2nd Colorized LAZ data. 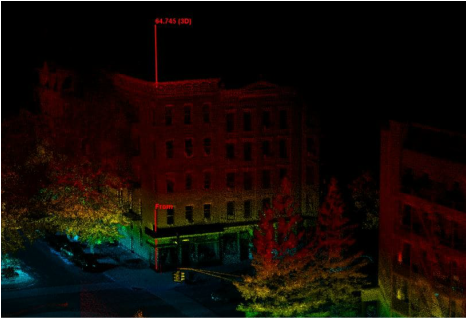 This data set is the Ladybug5 images and captured with Scanlook Snoopy A-Series mounted on a Truck. 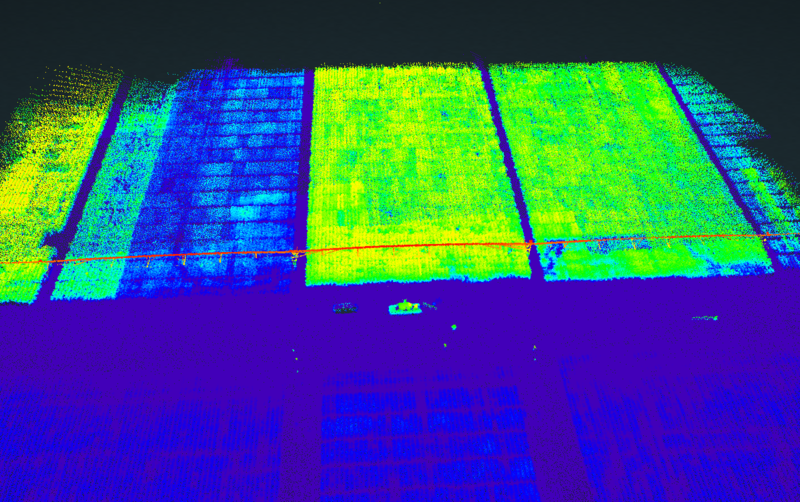 This data was collected from the back of a truck using a Velodyne HD32 scanner. The area is typical of a busy urban environment. There are three scan files of 630 ft over 147 seconds (including the inevitable stop for an intersection). Click here to access data.